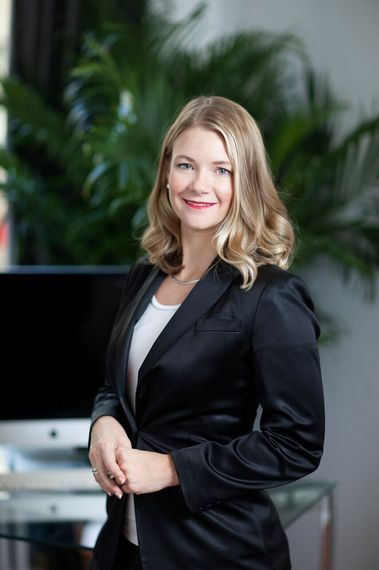 Heather Marie is the founder and CEO of Shoppable®, a software technology company enabling a shoppable layer across digital content and a cloud-based platform enabling mass product distribution for merchants and brands to tens of millions of consumers. While with Shoppable, she won the 2013 Women in Digital Award from L'Oreal and was named one of the ten "Most Powerful Millennials in Manhattan" by Gotham Magazine and one of the eleven "Tech Gurus Changing the Luxury Game" by Refinery29. Shoppable® was a 2014 Webby Award Honoree for "Online Shopping" and named one of the "100 Brilliant Companies" by Entrepreneur Magazine. What does entrepreneurship mean to you, and what underlying characteristics do you find common in successful entrepreneurs? Heather: Entrepreneurship is about creating something meaningful from nothing and being so passionate about what you're working on that you will do it for free. To me, entrepreneurship also means doing whatever it takes to overcome obstacles that will get in your way--and they will! It's about looking at a problem, seeing an opportunity, and then, innovating to create a product or service that solves the problem. There are many characteristics that make a good entrepreneur. The ones that I think are most common: You have to have natural leadership abilities and be a product visionary. For example, you have to convince people to get on your rocket ship and that it's going to blast off. It doesn't matter how smart you are, you can't do it alone. In fact, you're going to work with hundreds of people along the way, maybe even thousands. You have to be extremely passionate about the business idea and the space you're in. Other key characteristics I think are most common in success are self-motivation, tenacity, and an ability to learn and adapt quickly to change. Heather: I'm most proud of what I've created with my team at Shoppable. It really is awe-inspiring to see an idea come to life and grow little by little until it comes to fruition. I remember the first time there was very serious inbound interest in using Shoppable's technology and it was a true tipping point for the business. The idea that we had created something valuable for one of the largest publishers in the country to contact us and ask to license the technology blew me away. We stopped to celebrate the moment and then got back to work. Tell us about an instance when you went against the flow to realize your goal. Heather: I first started Shoppable four years ago because I continually discovered new products (on a blog, social media, magazine websites etc.) that I couldn't buy. Sometimes I would spend close to an hour trying to track it down and other times I just didn't bother looking for it because I didn't have time or was frustrated by the experience. The idea that as consumers, we should be able to easily buy anything we see online, wherever we see it is relatively obvious, but before Shoppable created a universal cart and invented the first universal checkout, this wasn't possible. Even though the idea is obvious, because it was new, literally every single retailer I went to when I first started said some version of "no". Several companies said "no, we haven't done that before--so we can't." It took relentless pursuit to educate them on this new concept and then convince them to give us shot. Now we have hundreds of merchants on board and thousands of people and companies monetizing their blogs, mobile apps, ads, and websites with the new affiliate technology. Heather: I'm extremely excited about Shoppable's future because we just launched a new product that I have wanted to release since I first started the company. The product is a free Google Chrome Extension called, Shoppable: The Universal Cart. With one click of the extension, it will automatically scan websites you visit and add buy buttons for everything that's Shoppable. It currently recognizes more than 20 million products available for purchase across the web and this number is growing every week. What advice would you give your 22 year old self? Heather: Be confident in what you know and know what you don't know. Follow Heather Marie at @heathermarieNYC, and check out the other interviews in Going Against the Flow series at http://www.huffingtonpost.com/charu-sharma/ or goagainsttheflow.com.